Give your event a unique touch with our Scala. This huge set can take the experience of your event to the next level. 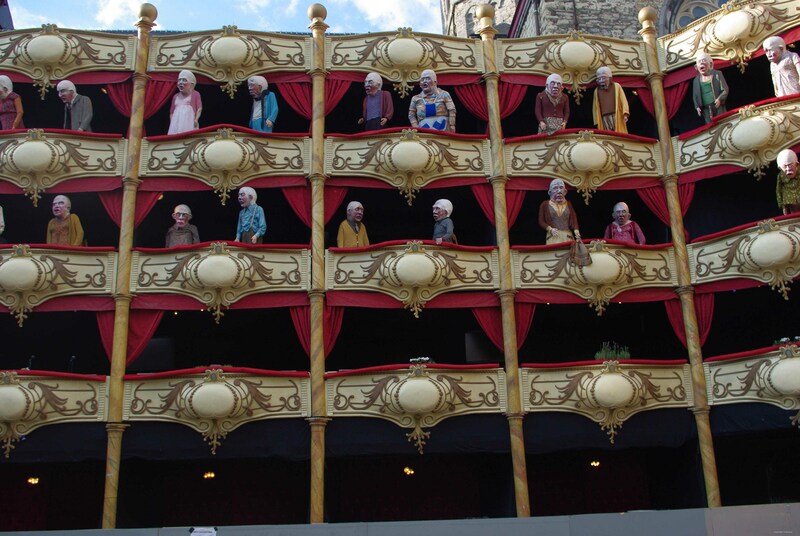 The decor contains 21 theater boxes, hosted by 30 lifelike dummies. The public gets to be the attraction as the dummies behold the people. This beautiful setting was designed by the french artist Charles Merle. Feel free to fill in our registration form for more information.